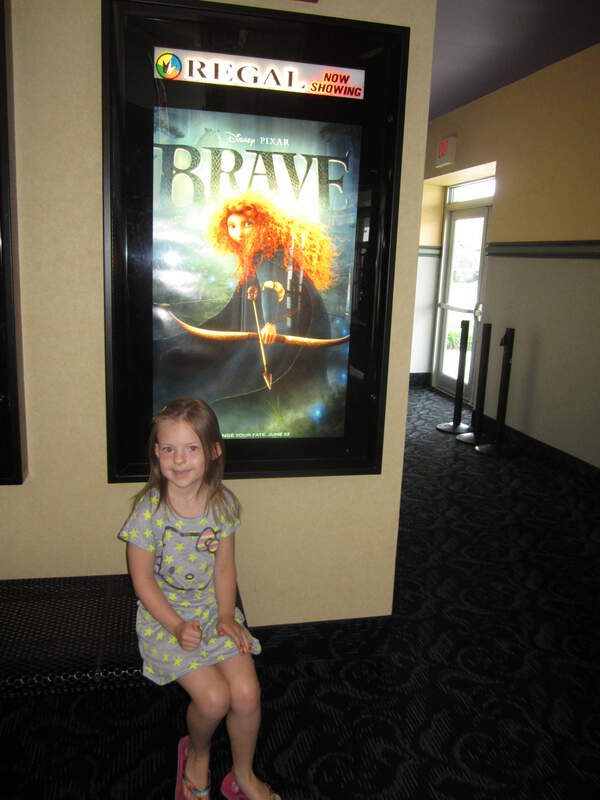 My daughter is such a big fan of all things princess, so for day 7 of the Frugal Family Fun challenge, we decided to take the whole family to see the new princess movie Brave. It wasn’t exactly frugal, however. I guess that I haven’t been to the movies in a REALLY long time, because my jaw hit the floor when the cashier told us it would be $32 for the 4 of us to see a movie. 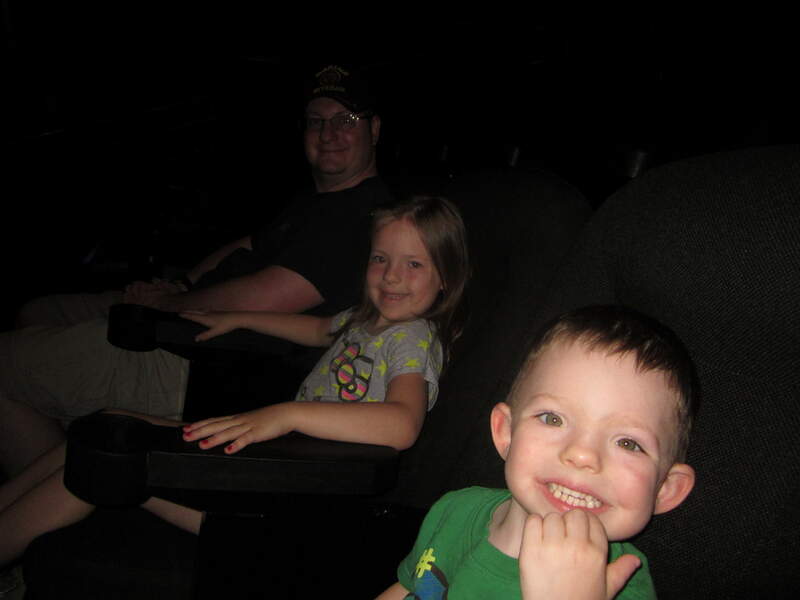 I double-checked that he had not given us 4 adult seats…turns out that they don’t have discounted tickets for kids. Wow. After sitting through ONE HOUR of previews, the movie finally started. By this time, my little one was pretty much done with sitting still, so he roamed around between my seat and Daddy’s seat the whole time, but it wasn’t too bad. The movie itself was very enjoyable. The scenes were absolutely incredible…it was hard to believe that everything on the screen was computer-generated, because it all looked so realistic. Even the main character’s hair looked so real! It was nice to be inside a cool, air-conditioned room for 2 1/2 hours on a hot summer day, but the price of the admission left us feeling a bit guilty for spending all that money. 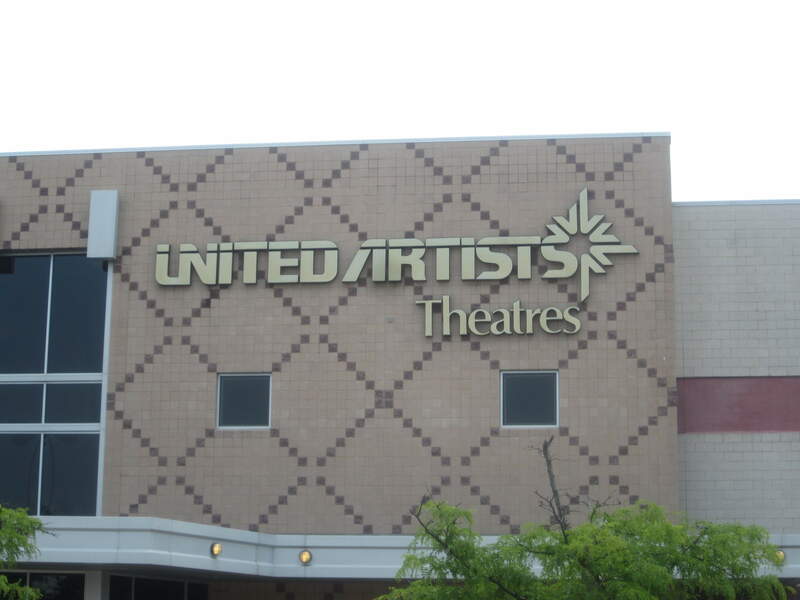 Have you seen any movies at the theater lately? We have not been to the movies in years. But we did pick up a video at the library that my son wanted to watch so I am sure we will be enjoying a movie at home soon. Looks like you had a great time. I linked through to your blog from MoneySavingMom! Does your theater offer lower prices during matinee or afternoon times? I don’t know if you use Groupon, but ours will offer discounted movie tickets and popcorn from time to time. I don’t think I’ve been to a theater since before I was pregnant. The kid’s almost one, so I guess that means it’s been at least two years. I am a little tempted by Brave, though. We have a cheap theater nearby that has sticky floors and movies a month old, but it’s about $4 for an adult. Something is wrong with my reader on WP and I missed many of your posts 🙁 ! But old ones are showing up now and I just posted about us going to Brave 🙂 How funny! Love the pics and I, too, thought the movie looked “rea.” And I was obsessed with her hair–I read it took so long for them to do the film in part because of how they had to make each piece of hair flow and move with her..wow!